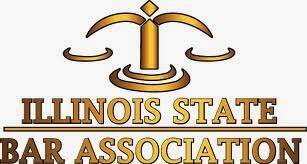 There are many ways to stop the foreclosure process in Illinois. On this page we will give you information to help inform you of some of the latest techniques to stopping foreclosure and helping you keep your home. While every situation contains different variables, it is best to consult with an attorney before taking action. There are many ways of stopping foreclosure. There are many solutions to slow down the foreclosure process but there are only 3 ways to stopping foreclosure all together. Once either past due payments and fees are caught up or the loan is paid off or modified, only then will the foreclosure process stop. We have seen to many good people exhaust all of their resources, including robbing their 401k and borrowing from other just to hang on to their homes. While these solutions may seem as a quick fix, they almost always lead to further issues down the road because they often act as a temporary band aid because they don't fix the problem at hand, which can be related to either a decline in income, increase in expenses or both. Before withdrawing money from your retirement savings or borrowing money from a friend or family member, it is a wise decision to consult with a foreclosure lawyer. Attorney Jeffrey Avny is a well known foreclosure attorney who has been practicing law and helping people facing foreclosure keep their homes. If you would like to discuss your situation with an attorney, please dial (847) 398-4793. If you have received a Notice of Default, it means you are 90 days behind on your mortgage. A mortgage is a contractual obligation and missing more than 3 payments consecutively is a violation of that agreement. After you miss three mortgage payments you bank will issue a Notice of Default. This is basically your bank giving you written notice that you have violated the agreement and if you do not bring the loan current, your lender will begin the foreclosure process. A Notice of Default is similar to a Notice of Intent to Accelerate. A foreclosure summons is delivered by a local sheriff after a lender has began the foreclosure process. The foreclosure summons is to inform you that your lender is suing you for specific performance. Basically asking you to pay up or they will take possession of the property. Your lender has filed legal action against you and may result in a court date. There is a certain legal process the banks must follow to properly foreclose on a property and may be some court dates before a sale date is given. If you have received a foreclosure summons in Illinois and would like to discuss your case with us, please dial (847) 398-4379. There are many ways a lawyer can stop a foreclosure. It is best to meet with an attorney before the problems start so you can have an upper hand at fighting the big banks. If you are late in the process an attorney may still be able to help to stop foreclosure so you can keep your home. Depending on your circumstances and where you are in the foreclosure process will determine which steps a foreclosure lawyer take. There are a number of ways to stop the foreclosure sale date. Depending where you are in the foreclosure process and what your circumstances are will determine the best course of action. The best course of action to stop a foreclosure sale would be a loan modification. A loan modification enables your lender to renegotiate your mortgage terms. This allows lenders to add the deficient balance on to your mortgage balance, extend the terms or lower your interest rate. In some cases your interest rate or payments may increase. Other foreclosure alternatives may include foreclosure defense, refinancing, reverse mortgage or even filing an emergency Chapter 7 Bankruptcy. Filing for bankruptcy under a chapter 13 can stop a foreclosure sale dead in it's tracks. This may not be necessary for most situations but is an effective way to put a wrench in your homes sale date. Getting a loan modification is one of the best ways on how to save a house in foreclosure. Having a good mortgage foreclosure attorney is one of the key factors in helping you get your loan modified. Working with lenders can be tricky and that is why it pays to have a well experienced lawyer representing your case. If you would like a free consultation to discuss whether a loan modification is right for you, click the button below or call us at (847) 398-4793. Getting a loan modification is one of the best ways to stop foreclosure immediately. It is important to know that not all situations will qualify for a loan modification because a loan will have to meet certain loan modification underwriting guidelines to qualify. Because most mortgage are conventional or government owned (FHA or VA) mortgage servicers will have to make sure the loan meets all lenders qualifications. Your attorney should know most of the lenders guidelines and whether or not a situation will qualify or not. Your lender will typically request one year tax returns, one months pay stubs, two months bank statements, a current utility bill and an Request for Mortgage Assistance (RMA). It is important to make sure that all requested documentation is submitted with the form filled out properly. Missing one of these steps is the number one reason most loan modifications get denied. The Avny Law Group has successfully completed over 1,000 mortgage modifications and can help you with your foreclosure questions. Attorney Jeff Avny is a mortgage foreclosure attorney and can help answer your mortgage and foreclosure related questions. We offer free consultations and are here to help. Give us a call at (847) 398-4793 for more information on how to save your home from foreclosure. Many of our clients have reported sleeping better after working with us. Jeff Avny is one of the highest rated foreclosure lawyers in Illinois and was rated the best foreclosure service in Mount Prospect in 2017 and 2018. If you are facing financial difficulty there is no reason to go it alone. Call a home loan modification attorney to discuss your situation. When selecting an attorney to help you with your mortgage it is best to do a little research to save yourself from some potential headaches down the road. We have seen to many good people either lose their homes to unscrupulous companies or get taken advantage of because they didn't research the company before hiring them to help save their homes. If your home is in foreclosure or you are struggling to make ends meet, the best thing to do is to get professional help right away. Consulting with a someone who is well experienced in navigating the foreclosure process can mean the world of difference in your overall financial picture and the amount of stress you chose to deal with. Your foreclosure specialist will gather information about your loan, it's terms, when you took out the loan, whether you have had a modification or financial troubles in the past and then get information on your homes value, when the loan was taken out and income, employment and asset information as well as what your intentions on keeping the home are. Having this information will give your attorney the proper data to help you make an informed decision as to which path is best for you. There are multiple options available to help you and you do not have to go it alone. Our office has payment options available and will fight to help you keep your home!